Today being World Book Day, I am publishing five extracts from my book The Quest for a Moral Compass, that explore five books from the ancient and medieval worlds, some well-known, some almost forgotten, but all of which have helped shape our thinking about right and wrong, good and evil – Homer’s Iliad, a foundation stone of Ancient Greek culture; the Mahabharata, the first of the two great epics of Hinduism; Mozi, the only work we have of ancient China’s forgotten philosopher Mo Tzu; the Book of Job from the Pentateuch (or the Old Testament in the Christian tradition); and Hayy Ibn Yaqan, an Islamic masterpiece from the twelfth century that today is almost unknown. (The extract on the Book of Job is not actually an extract – it is a section of The Quest for Moral Compass that I had to cut from the final version to keep the ms to length, so it’s a bonus here.) You can buy The Quest for Moral Compass (and what better time to do so than on World Book Day) from the Pandaemonium bookshop. So opens the most celebrated work of Greek poetry, the earliest expression of European literature, and, to some, its greatest too. Homer’s Iliad tells the story of the Trojan War, the ten-year struggle by Achaean Greeks to avenge the abduction of Helen, wife of Menelaus, the king of Sparta, by Paris, son of the Trojan king Priam. (The Achaeans were the first Greek-speaking inhabitants of what we now call Greece.) The Iliad forms one half of a poetic diptych with The Odyssey, in which Homer recounts the tale of Odysseus’ struggle to return home after the fall of Troy, a struggle that was to last as long as the war itself. Written in the eighth century BCE, the Iliad and the Odyssey are distilled from a long and rich tradition of oral poetry, the work of generations of illiterate singers in an illiterate age who composed and passed on their epics of men and gods, love and death, adventures and conquests, without the aid of writing. Over centuries these tales melded together into a stock of myths that gave the audience that listened to the itinerant poets a sense of time and place. 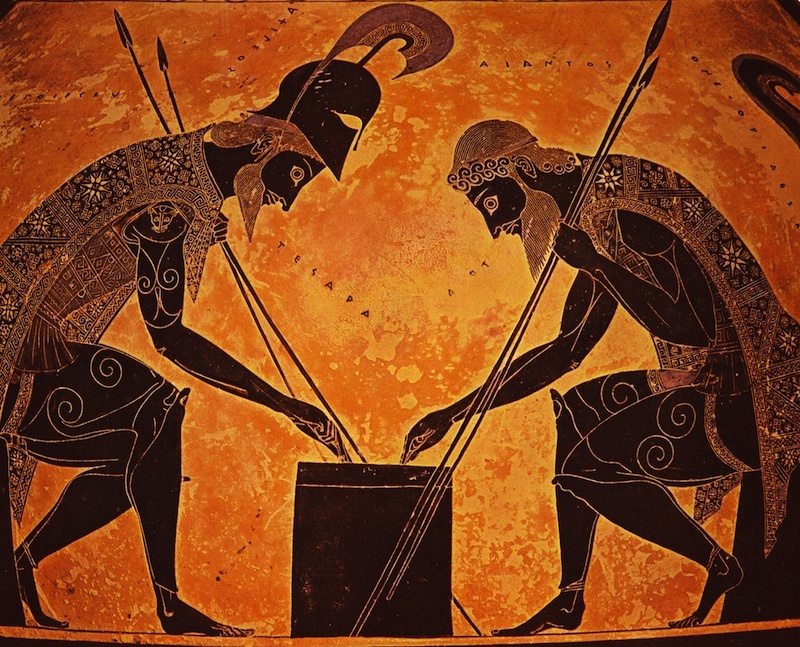 The Homeric poems were both the culmination of this tradition and its transformation, works that drew upon the oral lore but whose depth of vision, breadth of imagination, and sheer ambition gave voice to a new kind of literature and to a new kind of myth. The Iliad and the Odyssey gave ancient Greeks a sense of their history, turned a fable about their origins into the foundation stone of their culture, nourished generations of poets and sculptors and artists and established a framework for their moral lives. It is a good place from which to embark on our journey of exploration through the history of moral thought. The Iliad is a poem about the Trojan War. And yet it is not a poem about the Trojan War. The beginnings of the conflict and the sacking of Troy both lie offpage. The whole story of the Iliad is contained within a span of fifty-two days in the tenth and final year of the war. The main action, running through twenty-two of the poem’s twenty-four books, occupies just four days. The quarrel of which Homer speaks in the opening line of the Iliad is not the quarrel between the Greeks and the Trojans, but that between Agamemnon, the leader of the Greek forces, and Achilles, son of the goddess Thetis and the most famous of the Greek warriors. Homer begins his tale by telling of how Chryses, priest to the god Apollo, asks Agamemnon to allow him to ransom his daughter Chryseis whom the Achaean king had captured as a war trophy and claimed as a slave. When Agamemnon rudely rejects him, Chryses prays to Apollo for help. Apollo sends a plague upon the Greeks. To pacify the god, an assembly of Greek warriors demands that Agamemnon return his slave girl to Chryses. Agamemnon agrees, but only if he be given, in exchange, Achilles’ concubine, Briseis, another prize captured in war. Humiliated and dishonoured, Achilles withdraws himself and his warriors from the conflict. Agamemnon’s ‘wicked arrogance’ and the ‘ruinous wrath’ of Achilles provide the raw material for Homer. His theme is not the war but the tragedy of the human condition, the unintended consequences of human sentiment and the nature of fate in governing human life. All the major dramatic moments of the poem spring fatefully and inevitably from the quarrel between Achilles and Agamemnon. With Achilles out of the battle, Hector, brother of Paris, successfully breaches the Greek camp, with backing from the gods. Achilles’ closest friend Patrocolus, who had also withdrawn from the war, re-enters the fray, dressed in Achilles’ armour. He manages to repel the Trojans but is killed in battle by Hector. In revenge, a distraught Achilles defeats Hector in single combat, then defiles his corpse for days, until King Priam persuades him to give up the body. The Iliad ends with Hector’s funeral. The death of Achilles and the fall of Troy lie outside the narrative of the poem. But we know that both will happen, for they are as inevitable as were the deaths of Patrocolus and Hector, two more moments in the unbroken sequence that had sprung from Achilles’ anger. ‘And so the plan of Zeus was fulfilled’, Homer writes of the consequences of Achilles’ wrath. Achilles’ ‘accursed anger’ had set forth a train of events that had ‘brought uncounted anguish on the Achaeans and hurled down to Hades many mighty souls of heroes’. But both that anger and that train of events were also part of a divine plan. Throughout the Iliad, divine and human causation are inextricably linked. Achilles and Agamemnon are responsible for their actions. They – and not just they – have to pay the price for their pride, arrogance and folly. And yet their actions are shaped by the gods, and their fates decided by Zeus’ scales. The drama on the battlefield is shadowed by the drama on Mount Olympus. We see the gods holding council, quarrelling and sulking, laughing and partying and making love, and descending from their Olympian heights to change the course of human affairs. When Achilles is dishonoured by Agamemnon, his distraught mother, the goddess Thetis, appeals to Zeus, who promises her major Trojan success so as to ‘bring honour to Achilles’. As Paris is about to be defeated by Menelaus in a duel he has foolishly called, Aphrodite ‘snatched him away with the ease of a god, wrapped him in thick mist, and set him down in his sweetly-scented bedroom’. When Zeus’s wife Hera, who has championed the Achaeans, protests about her husband’s support for the Trojans, he accepts that she can have her way and see Troy sacked but also issues a warning: ‘Whenever I in my turn am eager to destroy a city peopled by men who are dear to you, do not try to thwart my anger, but let me have my way’. Homer’s gods are not wise and judicious like the later gods of Judaism, Christianity and Islam. They are, rather, capricious, vain, vicious and deceitful. But however savage and immoral the gods may be, they are also all-powerful, or seemingly so to humans. It is in part a reflection of the world as the Ancients saw it: messy, chaotic, largely unpredictable, barely controllable, and yet inescapable. Not only have human choices to be made against the background of divinely ordered fate, but the gods often force humans to act against their wishes. Perhaps no figure better expresses the conundrum of human choice than Helen, whose abduction launched the Trojan War. Trojans hold Helen responsible for the war and for the suffering that it has brought. Helen herself accepts responsibility for the tragedy. And yet she, and Homer, recognize that she has been manipulated by divine forces, and in particular by Aphrodite, who had engineered Helen’s initial seduction by Paris. In one poignant passage, Aphrodite tries to force Helen into Paris’ bed against her will, to comfort the Trojan prince. ‘Go sit by him yourself’, Helen retorts; ‘abandon the paths of the gods, never again turn your feet back to Olympus; no, stay with him, for ever whimpering around him and watching over him, until he makes you his wife – or else his slave.’ ‘I will not go to him’, Helen insists for ‘that would bring shame on me’ and ‘I have misery enough in my heart’. Yet, however much she detests the goddess’ imperatives, Helen knows that she is powerless to resist them. She follows Aphrodite to Paris’ bedroom. And this, for Homer, is the tragedy of being human: to desire freedom, and be tortured by a sense of autonomy, and yet be imprisoned by forces beyond our control. Fate, to Homer, is a social reality, and neither will nor cunning can evade it. Indeed, a man who does what he ought to moves steadily towards his fate and his death. Both Achilles and Hector go into battle knowing they are fated to die, but knowing, too, that without surrendering to their fate they would also surrender their honour. With tragedy, however, comes dignity. Gods act according to whim; only humans are truly accountable for their actions. Human life is framed by the gods and yet humans cannot rely upon them. They must depend upon their own wit and resources. It is human reason that imposes order upon an unpredictable world, and discovers dignity and honour within it. It is an epic struggle, one that transforms history and nearly destroys the world. On one side are the Pandavas, the five sons of King Pandu, on the other, the Kauravas, the hundred sons of Pandu’s brother, the blind King Dhritarashtra. The cousins become bitter rivals in the struggle to inherit the ancestral kingdom of Bharata on the Ganga river in northern India. The rivalry culminates in an apocalyptic battle on the vast field of Kurukshetra. Armies from all over India arrive to do combat, kings and chiefs allying themselves with one side or the other. After eighteen days of fighting, just twelve warriors are left standing. All the Kauravan brothers perish; the five Pandavas survive. Yudhishtira, the eldest of the Pandavan brothers and their leader, is crowned king. The emptiness of the world that they had won was, however, to colour the rest of the Pandavas’ lives. Yudhishtira eventually gives up the throne and, with the other Pandavas embarks on a spiritual quest. All came to perish on that final journey. The Mahabharata, the story of the Kauravas and the Pandavas and their deadly rivalry, takes its place among the celebrated epics of world literature. It is one of the two great Sanskrit narrative poems of ancient India (the other being the Ramayana) and a foundation stone of Hinduism. A monumental work, comprising some 106,000 couplets, the Mahabharata weighs in at around eight times the size of the Iliad and the Odyssey combined, three times that of the Bible. It is not simply a story, but a theology, a philosophy and, for believers, a form of history. Within it is much of the lore of the classical Hindu tradition – myths and legends, the great creation stories and the codes of moral law, including the immensely important Bhagavad Gita. According to myth, and to the Mahabharata itself, the epic was written by the sage Vyasa, who also appears in the story as the grandfather of both the Kauravas and the Pandavas. Like all ancient epics the stories within the Mahabharata undoubtedly emerged out of oral lore, countless tales told and retold by poets and sages and priests, the earliest layers possibly more ancient than the earliest stories of Abraham and of Moses. It was eventually committed to paper, probably over the space of many centuries on either side of Christ’s birth. On one reading, the Mahabharata is the story of the battle between good and evil, and of the vanquishing of the demonic by the divine. The Pandavas were fathered not by Pandu but by gods. Gods assisted the Pandavas throughout the struggle, most importantly the supreme god Vishnu who had descended to Earth in the human form of Krishna to rescue dharma, a concept that embodies the notion both of natural law and of those righteous behaviours considered necessary for the maintenance of the natural order of things. The Kauravas, on the other hand, were fathered by demons and had initially won the kingdom through deceit, ensnaring Yudhishtira into a loaded game of dice, during the course of which he loses not just his palaces and lands and servants, but himself, too, and his brothers and Draupadi, the wife shared by all the Pandavas. And yet, in telling this story of good and evil, the Mahabharata subverted those very ideas. Victory was necessary to maintain the integrity of the divine order, to protect dharma. But the war itself, and the character of the victory, corrupted that very order, disrupting the moral code that confered order to the cosmos. The Kauravas’ four commanders had once been as fathers and brothers to the Pandavas. Not only had all to be slain, but none could be killed except through deeply immoral means. It was the deceit and treachery of the Kauravas which led to the war. But the war was won largely because of the deceit and treachery of the Pandavas and of Krishna. After eighteen days of war, the world had irrevocably changed. The apocalypse on the field of Kurukshetra caused a faultline in time. The dvapara yuga – the age of heroes and of heroic values, an age in which people understood their tasks in life and remained faithful to the principles of their castes – gave way to the Kali yuga, the last age of the world in which values erode, law fragments and evil gains sway. If in myth the world had transformed, so too in history. How much of the action described in Mahabharata was based on historical events, and when these events occurred, is still a matter of considerable controversy. Most scholars believe that the dynastic struggle, and the great war, are based on events that took place between 1200 and 800 BCE. The Mahabharata is rooted in a history not too distant in time from the Trojan War and the forging of the kingdom of Israel from the various Hebrew tribes in Canaan. It solidified into a written narrative sometime between the creation of the Oresteia and the transformation of the Bible into a canonical text. The Greek tragedies were an attempt to understand human conduct after the breakdown of heroic society and the rise of Athenian democracy. The stories of the Bible, written and rewritten over the space of almost a millennium, attempted similarly to make sense of righteousness and moral order in a time of great social dislocation. 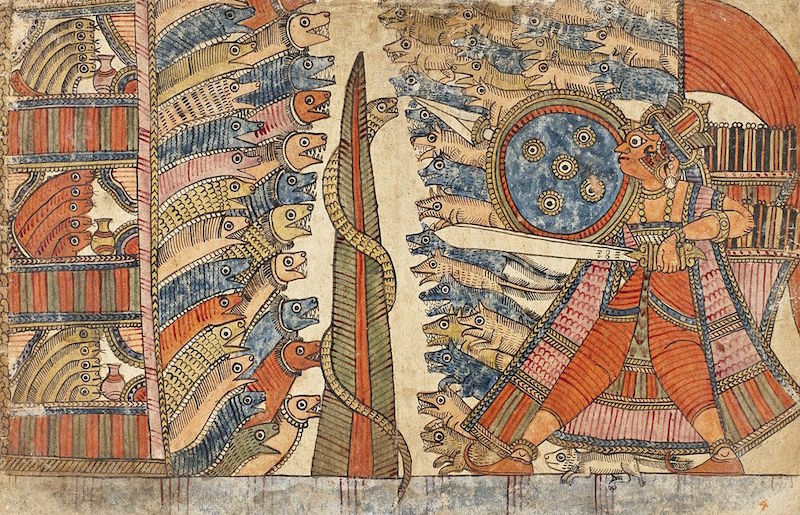 The stories of the Mahabharata may appear to intoxicated with the spirit of the heroic age, stories more akin to the epic yarns of the Iliad and the Odyssey, or to the terrifying tales of El and Baal and other ancient gods, than to the more sceptical, questioning works of Sophocles and Euripides or the more philosophical counsel of the Biblical books of Wisdom. And yet, despite its heroic form, the Mahabharata was a product of the breakdown of that age, and the ethical predicaments posed by the erosion of traditional heroic social relations. Indeed, many of the moral quandries at the heart of the Mahabharata, echo those to be found in the Oresteia or the Book of Job. What is it to be good? Why do the righteous suffer? Is it possible to evade fate? Where exactly Mo Tzu was born remains uncertain, as do the exact dates of his birth and death. He was possibly born in the state of Lu and he probably lived in the second half of the fifth century BCE, and perhaps into the early part of the fourth; in other words, around the same time as Socrates, Plato and the later Sophists in Greece. This was the period of the Warring States in China, where the disintegration of the Zhou Dynasty had led to all-out conflict between a number of different states, in particular Jin, Chu, Qin and Qi. The turmoil ended in 221, more than a century after Mo’s death, with the victory of Qin, the unification of the various warring fragments and the founding of the first Chinese Imperial Dynasty (though the Qin dynasty itself lasted only fifteen years). ‘Mo’ is an unusual surname, Chinese for ‘ink’. Some scholars have speculated that it was an epithet given to him for having once been a slave or a convict, whose faces were often branded or tattooed with dark ink. Others suggest that Mo took on the name as a way of identifying with the lowest class of people. Most historians now believe that Mo was a member of the lower artisan class who managed to climb his way to an official post. 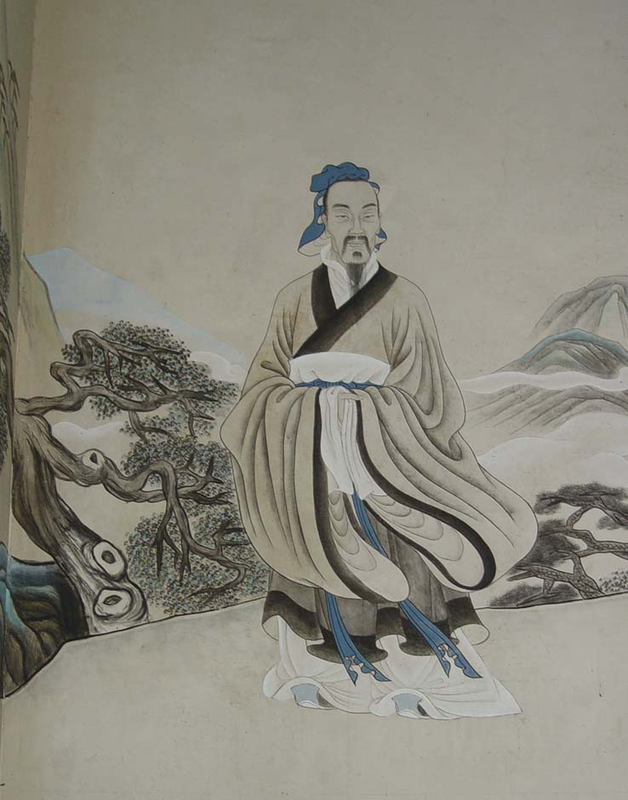 Fung Yu Lan suggests that Mo was a hsieh, a hereditary warrior who had lost his position and title, and made a living by offering his services to those who would employ him. He is certainly thought to have founded a highly organized, quasi-religious, military community that came to the aid of small states under threat, a practical expression of the Mohists’ opposition to military aggression. Today we know of Mo’s philosophy primarily through a text called Mozi, which was probably written not by Mo Tzu himself, but by successive groups of disciples. The original consisted of 71 chapters, of which only 53 remain. The social turmoil that beset China over several centuries had led Kong [better known in the West as Confucius] to stress tradition and ritual as a means of assuring order and harmony. It led Mo to argue for the very opposite. Mo distinguished between two principles: that of ‘partiality’ and that of ‘universality’. Someone who held to the principle of partiality, as Kong did, discounted the moral interests of other tribes or other states, or hated or despised them because they were of other tribes or other states. To adopt the principle of ‘universality’ did not mean, as some have suggested of Mo, that one should love strangers as much as one loves one’s family, but rather that the moral interests of strangers, and of other tribes and states, must concern us as much as those of our family, that one should ‘regard others’ states as though regarding one’s state, regard others’ families as though regarding one’s family, and regard other persons as though regarding one’s person’. How, Mo asks, do these two approaches explain ‘the current calamities of the world’, in particular ‘great states attacking small ones, great families overthrowing small ones, the strong oppressing the weak, the many harrying the few, the cunning deceiving the stupid, and eminent lording it over the humble’? Such calamities have not arisen out of people ‘loving others and trying to benefit them’. Rather, they have ‘come from hating others and trying to injure them’. Therefore, ‘partiality is wrong and universality is right’. ‘If men were to regard the states of others as they regard their own’, Mo asks, ‘then who would raise up his state to attack the state of another? It would be like attacking his own.’ Adopting the principle of universality would ensure that ‘Others will be regarded as the self’ and so the need for wars would be greatly reduced, even disappear. Mo’s philosophy was not a warm, fuzzy embrace of an ‘All you need is love’ attitude. He was much more hard-headed and pragmatic. Why, he asked, should I act to embrace others and to benefit them rather simply to benefit myself? Because, he answered, ‘He who loves others, must also be loved by others. He who benefits others, must also be benefitted by others. He who hates others, must also be hated by others. He who injures others must also be injured by others.’ There are echoes here of utilitarian ideas, and of evolutionary notions of ‘reciprocal altruism’, developed two millennia later. Mo rejected what he regarded as Kong’s fetishisation of ritual which, he argued, was merely for show and detracted from the changes necessary to bring about a truly harmonious society. What people required was food, clothing, work and peace, not elaborate funerals or rules of etiquette. Mo was even hostile to the playing of music which, he thought, provided amusement for the ruling class but not bread or peace for ordinary folk. Despite Mo’s pragmatism, there remains something implausible both in his ethical utopianism and in his vision of human nature and of human relationships. Modern universalism is primarily a social and political claim. It requires the acceptance that whatever an individual’s background, and whatever we may personally feel about him or her, we accord that individual the same rights as we would do anyone else, that in meting out justice we do not discriminate on grounds of race, ethnicity, nationality, gender, sexuality, and so on, and that there are certain values, institutions and forms of governance under which all humans best flourish. Insofar as such universalism is plausible, it is because society is well enough developed to be able to steamroller traditional inequalities, differences and hierarchies, to afford equal treatment to all, and be able to think practically of common forms of governance across national and cultural boundaries. It was different in the premodern world. Inequality and hierarchy was essential to the functioning of such societies. The possibilities of social transformation, and of the creation of a society built on the equal treatment of all, would have appeared to most people as fantastical. Universalists were inevitably seen as dreamers and utopians; and dreamers and utopians they were. Universalism necessarily had primarily to be not social but psychological in form, an argument less about how society should be constructed than about how we should regard others. Given the constrained character of society, universalist ideas about regarding others as we regard ourselves could have seemed only fanciful. However pragmatic and utilitarian Mo Tzu’s philosophy might have been, this was true of his claims too. But while Mo’s psychological vision might have appeared implausible, his ethical vision was crucially important, and in many ways more developed and ‘modern’ than those of Stoics or Christians almost half a millennium later. Mo criticized Kong not simply for his conservative adherence to tradition and his support for social discrimination but also for his rejection of God. Growing disbelief in the power and providential character of God and of the spirit world, he wrote, had led to widespread immorality and social chaos, not just because it coarsened human behaviour and ethical thinking but also because it ‘displeased’ God and the spirits. God’s will, Mo insisted, was that all humans should love one another. He rewarded with good fortune those who obeyed His commands, punished with calamity those that defied His will. There is something of the Old Testament about Mo’s vision of a personal, judgmental, vengeful God who sets in stone the meaning of right and wrong, punishing the wicked and rewarding the faithful. And yet Mo’s faith was quite unlike that demanded by the Old Testament. Good and bad, for Mo, were not simply arbitrary notions defined by God. That which is good is good because it promotes peace, harmony, order and proper governance. Had he been faced with Socrates, Mo’s answer to the Euthyphro dilemma would have been clear. What is right is right not merely because Heaven intends it. Rather, Heaven intends it because it is right. Kong was not a humanist in the modern sense, but he talked little of God or of the spirit world, and neither played a role in his moral philosophy. What he was, was a deeply conservative thinker who sought to rationalize the ways of the past. ‘I transmit but do not create’, he wrote. ‘Being fond of the truth, I am an admirer of antiquity’. For Kong, truth was to be found by excavating the past, reason a means of ensuring that social mores were not overturned. Mo possessed a mystical view of God, and of the spirit world. But he was forcefully radical, challenging traditional mores and trying to develop a rational argument for a radical universalism. 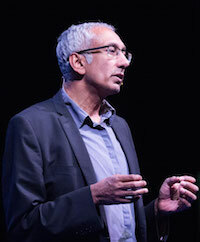 The relationship between Kong and Mo expresses the complexity of the relationship between faith, reason and morality, particularly in the premodern world. Job was a prosperous businessman, owning seven thousand sheep, three thousand camels, five hundred yoke of oxen and five hundred she-asses. He was also a highly pious man, ‘perfect and upright’, who ‘feared God and eschewed evil’. Up in heaven God holds council with his angels, including Satan, then still an angel in Heaven. The Lord says of Job that no one on Earth shows such piety. Only because God has made him wealthy, Satan responds. Were God to take away ‘all that he hath’, then he would ‘curse thee to thy face’. Like two reckless gamblers intoxicated by their power over dice, God and Satan strike a wager. Take away all Job’s wealth and power and happiness, God tells Satan, and let us see if he remains pious. Satan sets about his work with relish. Bandits kill Job’s servants and steal his oxen and camels and asses. A ‘fire of God… fallen from heaven’ consumes his sheep. ‘A great wind from the wilderness’ brings down the house in which his children are feasting, and in the rubble they are crushed. Job does not curse God for all this misfortune. ‘The LORD gave, and LORD hath taken away; blessed be the name of LORD’, he says in weary resignation. A new figure, Elihu, whose name means ‘My God is He’, now enters the scene. Elihu argues for God’s power and redemptive salvation. God, he insists, is always correct in his conduct. He might, however, be forced to impose suffering not just upon the sinful, but upon the righteous, too, as a warning, or for moral betterment. God, Elihu suggests, ‘delivereth the poor in his afflictions, and openeth their eyes in oppression’. Real repentance, Elihu insists, requires not, as Job’s three friends believe, for a sinner to identify and renounce his sins but for him to renounce his belief in his moral authority, an authority that belongs to God, and God alone. Job was a righteous man. But in his insistence on putting his case before God, and making God answer to him, he is assuming that he possesses a superior moral standard. Such arrogance deserves divine punishment. Finally God Himself speaks ‘out of a whirlwind’. What makes Job think that he has the right to question the Lord, he demands. ‘Where wast thou’, God wants to know, ‘when I laid the foundations of the earth?’ ‘Have the gates of death been opened unto thee?’, he thunders, ‘Or hast thou seen the doors of the shadow of death? / Hast thou perceived the breadth of the earth? declare if thou knowest it all.’ God is sovereign over the cosmos. He is not subject to questions from His creatures. At the end, it is Job’s three friends who face the wrath of God because in His words, ‘ye have not spoken of me the thing that is right, as my servant Job hath.’ God restores Job to health, doubling his riches and blessing him with seven sons and three daughters, ‘and in all the land were no women found so fair as the daughters of Job’. Job lives on another 140 years, living to see his children to the fourth generation and dying peacefully of old age. 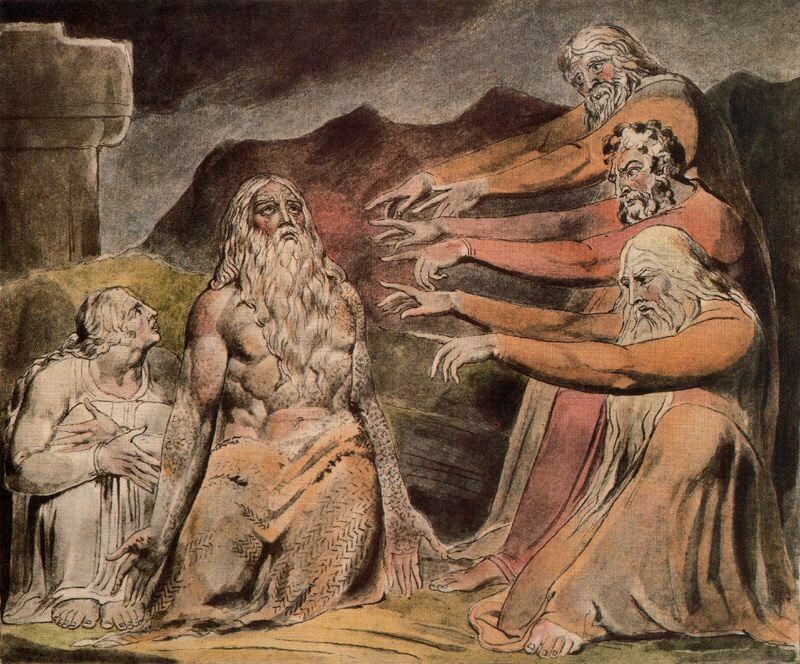 The Book of Job is a magnificent creation, one of the great works of Western literature. Read without sympathy, God may appear in it to be a callous gambler and a boastful bully, a Creator intoxicated with the sense of his own power. But read as the early Israelites would have read it (or rather heard it), as Job himself would have understood it, it is a narrative of great depth, both psychological and spiritual, and one that raises profound questions about the nature of righteousness, suffering and faith. At the heart of the book is an attempt to wrestle with the profound new questions raised by the emergence of monotheistic religions. Why does evil exist? Why do the righteous suffer? And why should one obey God? He is born to a princess who had secretly married her lover. Fearful of what might happen if the king should learn about her son, the princess, ‘with a heart equally affected with Love and Fear’ , places the infant in a little boat and cast him out to sea. He was eventually washed up on a distant uninhabited island where he is found by a gazelle, whose own fawn had been devoured by an eagle. The gazelle nurtures the infant as her own. The boy initially lives as a beast, but begins to recognize that he is different from all the other creatures on the island. The deer that had nursed him eventually dies. In great distress, the boy begins to ponder the mystery of death. Gripped by a ‘vehement desire to find, if possible, that part where the defect was, that he might remove it, and she return to her former State, of Life and Vigour’ , he dissects the gazelle’s body. He comes to realize that the cause of her death was result of the dissolution of soul and body, the departure of a spirit that ‘once dwelt here, but has now deserted his Habituation and left it empty.’ The boy now sets out on a journey of inquiry and self-discovery, slowly unraveling the ultimate mysteries of the cosmos through rational contemplation. So begins Abu Bakr Ibn Tuffall’s extraordinary twelfth century novel Hayy Ibn Yaqzan, whose enigmatic title means Living, Son of Wakeful. 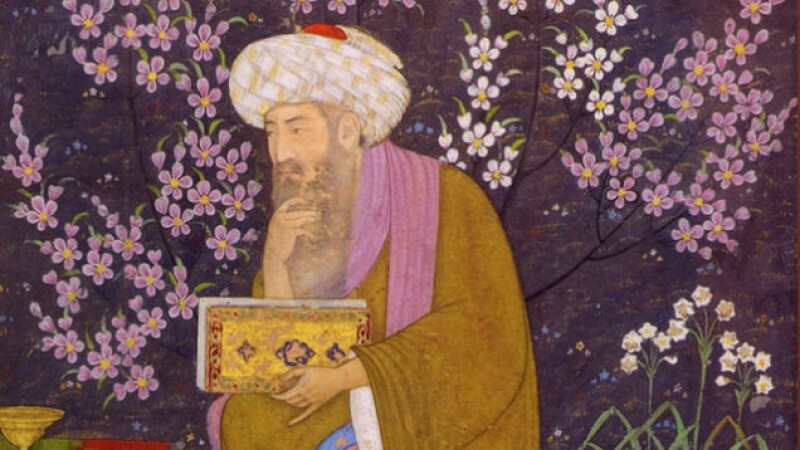 The first ever philosophical novel, and the first to strand its hero upon a desert island, there are few books that today lie as neglected as Hayy Ibn Yaqzan and yet historically have been more influential. Translated into Latin in 1671, and into English some quarter of a century later, it became a bestseller in Europe, influencing both novelists and philosophers, its echo to be heard in books such as Daniel Defoe’s Robinson Crusoe and in concepts such as the tabula rasa and the noble savage that helped shape the Enlightenment. Ibn Tuffail was born in the first decade of the twelfth century near Granada in Muslim Iberia. He studied philosophy and medicine and became vizier and physician to Abu Ya’qub Yusuf, the Almohad ruler of al-Andalus. He is said to have written numerous works on medicine, astronomy and philosophy. Almost all are lost, with the notable exception of Hayy Ibn Yaqzan. It is a novel infused with the ideas of Plato and Aristotle – or, at least, with the ideas of Plato and Aristotle as filtered through the Neoplatonism of Plotinus. It is one of the first explorations of human life in the ‘state of nature’, a form of imaginary reconstruction that was to become important in the Enlightenment. Perhaps its greatest significance lies, however, in its belief in the ethical importance of rational contemplation, and in its insistence that such contemplation could, unaided, reach out to all the truths of the world. Hayy, the young boy, alone and untutored, embarks on that desert island on a journey of inquiry and self-discovery, slowly unraveling the ultimate mysteries of the cosmos not through revelation but through reason. Reason, Ibn Tuffail suggests, is instantiated in human nature, and there is a natural progression of the human mind towards the discovery of truth. From his first investigations and discoveries, Hayy is led to the discovery of the spiritual world, of a world beyond that of the senses, a world of transcendent Forms, that can be ‘apprehended by Intellectual Speculation’ alone. He comes also to recognize the necessity of a Creator, and for such a Creator to exist outside time and space. True happiness comes only through people recognizing their kinship to the Creator and through diligently contemplating Him. The journey of Hayy toward a Neoplatonist vision of the cosmos mirrored that of the Muslim world itself. It was only in the eighth century the Arab world discovered Plato and Aristotle. That discovery transformed the Arab world, and its understanding humanity, God and morality. It was eventually to transform the rest of the world too. ‘An absolute tour de force. I can imagine it replacing Bertrand Russell’s History of Western Philosophy on many a bookshelf – certainly mine. Buy The Quest for a Moral Compass from the Pandaemonium bookshop. EXCELLENT PHILOSOPHY IN NUTSHELL, to think, to understand, to go beyond hollow religiosity, to rationalize ones existence……I would like to buy it.